Writing a press release just got a whole lot easier. We've got hundreds of quality, Chandigarh-based press release writers. They are ready and waiting to turn your ideas into compelling prose that journalists will love. Placing an order is quick and easy, with most releases complete in under 48 hours. 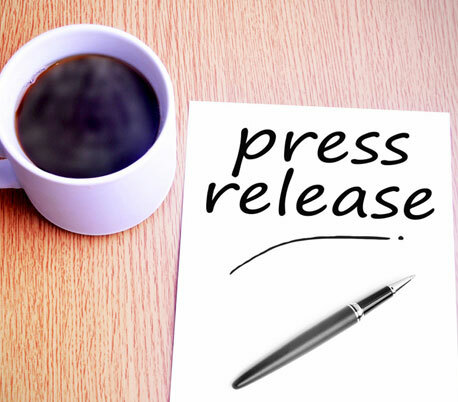 Press release writing services is a very useful application and our company easily helps in writing and distributing press release services that can further be dispersed to varied newspapers, articles and websites. In fact, one can highly attract favorable and well disposed media attention with the spreading of well written press releases. Now days, press release writing India is one of the most affordable, innovative and creative way to irradiate visitors about your company's developments, growth and progress. The press holds the power to either create your image or ruin it with in very less amount of time. Well written press release writing services offered by our company could be the true savior for yours company at the time of crisis. To hire the services, journalists and get attention and fame for your company, you really need to know about the loop holes of press release writing. Handling projects of several industries, our specialized team of press release writers thoroughly know effectively and efficiently how to use this so called recognized marketing tool. The era of todays, also known as 24 hour media, we are aware of rapidly changing market trends and know the right way to gain profits from them through our highly professional press release writing services. "The way your press release sees you is the way the world vision's you". Possessing the expertise, creative and experience in press release writing India, we ensure and promise to render you with some high quality and hard hitting press releases that are just much more than information bundles. Once you distribute press releases to varied platforms, you will analyze that your traffic has been increased drastically. Inexpensive and powerful publicity tool. Definitely brings and increases business and ROI's to your website. Increases trust and belief of customer in your company. Helps in building your brand on the internet as well as generating qualitative one way links to your website. Our company renders affordable and prime quality press release writing services. Along with this, we also proffer evaluation, targeting and measurement of the impact of the press releases. You can contact us at any time regarding the press release writing or distribution services, offered by us. We also have different kind of press release writing packages and they can be customized as per your requirements also. So, we are highly looking forward to listen from your end soon. Chandigarh's Leading Press Release Writing Company ! Ink Web Solution provides Press Release Writing services in Chandigarh, Mohali, Himachal Pradesh and India. We are Press Release Writing in Chandigarh, India.